Overall the house was historic but maintained very well for its age. There were still some concerns and updating still needed, but some updating of the electrical and other systems have already been done. The purpose of a home inspection is to help reduce the risk associated with the purchase of a structure by providing a professional opinion about the overall condition of the structure. A home inspection is a limited visual inspection and it cannot eliminate this risk. Some homes present more risks than others. We cannot control this, but we try to help educate you about what we don’t know during the inspection process. This is more difficult to convey in a report and one of many reasons why we recommend that you attend the inspection. This report does not substitute for or serve as a warranty or guarantee of any kind. Home warranties can be purchased separately from insuring firms that provide this service. The descriptions and observations in this report are based on a visual inspection of the structure. We inspect the aspects of the structure that can be viewed without dismantling, damaging or disfiguring the structure and without moving furniture and interior furnishings. Areas that are concealed, hidden or inaccessible to view are not covered by this inspection. Some systems cannot be tested during this inspection as testing risks damaging the building. For example, overflow drains on bathtubs are generally not tested because if they were found to be leaking they could damage the finishes below. Our procedures involve non-invasive investigation and non-destructive testing which will limit the scope of the inspection. This inspection and report are not intended for city / local code compliance. During the construction process structures are inspected for code compliance by municipal inspectors. Framing is open at this time and conditions can be fully viewed. Framing is not open during inspections of finished homes, and this limits the inspection. All houses fall out of code compliance shortly after they are built, as the codes continually change. National codes are augmented at least every three years for all of the varying disciplines. Municipalities can choose to adopt and phase in sections of the codes on their own timetables. There are generally no requirements to bring older homes into compliance unless substantial renovation is being done. Construction techniques and standards vary. There is no one way to build a house or install a system in a house. The observations in this report are the opinions of the home inspector. Other inspectors and contractors are likely to have some differing opinions. You are welcome to seek opinions from other professionals. This inspection will include the following systems: exterior, roof, structure, drainage, foundation, attic, interior, plumbing, electrical and heating. The evaluation will be based on limited observations that are primarily visual and non-invasive. This inspection and report are not intended to be technically exhaustive. The overall goal of a home inspection is to help ensure that your expectations are appropriate with the house you are proposing to buy. To this end we assist with discovery by showing and documenting observations during the home inspection. This should not be mistaken for a technically exhaustive inspection designed to uncover every defect with a building. Such inspections are available but they are generally cost-prohibitive to most homebuyers. Your presence is requested during this inspection. A written report will not substitute for all the possible information that can be conveyed verbally by a shared visual observation of the conditions of the property. This report is designed to deliver important and technical information in a way that is easy for anyone to access and understand. If you are in a hurry, you can take a quick look at our "Summary Page” and quickly get critical information for important decision making. However, we strongly recommend that you take the time to read the full Report, which includes digital photographs, captions, diagrams, videos and hot links to additional information. The best way to get the layers of information that are presented in this report is to read your report online. This will allow all you to expand your learning about your house. You will notice some words or series of words highlighted in blue and underlined – clicking on these will provide you with a link to additional information. This report can also be printed on paper or to a PDF document. This report is divided into chapters that parcel the home into logical inspection components. Each chapter is broken into sections that relate to a specific system or component of the home. You can navigate between chapters with the click of a button on the left side margin. Most sections will contain some descriptive information done in black font. Observation narrative, done in colored boxes, will be included if a system or component is found to be significantly deficient in some way or if we wish to provide helpful additional information about the system or the scope of our inspection. If a system or component of the home was deemed to be in satisfactory or serviceable condition, there may be no narrative observation comments in that section. Repair items that may cost significant money to correct now or in the near future, or items that require immediate attention to prevent additional damage or eliminate safety hazards. Repair and maintenance items noted during inspection. Please note that some repair items can be expensive to correct such as re-finishing hardwood floors, but are considered simply repair items due to their cosmetic nature. Observations that are not necessarily defects, but which could be improved for safety, efficiency, or reliability reasons. Items that should be watched to see if correction may be needed in the future. Observation such as a buried oil tank that may require further investigation to determine the severity and / or urgency of repair. A repair that may be deferred for some time but should be on the radar for repair or replacement in the near future. Denotes observations that are needed to make the home more energy efficient as well as to bring the home up to modern insulation standards. This category typically includes windows and insulation. Other items, such as lighting and appliances, are not inspected for their energy status. Items that were initially an issue but have since been completed. Refers to aside information and /or any comments elaborating on descriptions of systems in the home or limitations to the home inspection. The Summary Page is designed as a bulleted overview of all the observations noted during inspection. This helpful overview is not a substitution for reading the entire inspection report. The entire report must be read to get a complete understanding of this inspection report as the Summary Page does not include photographs or photo captions. The grade of the yard is slopping toward the building. Standards recommend a quarter inch / foot slope away from the building or better. All trees, branches and vegetation should be pruned at least six feet away from the house to eliminate a condition conducive to wood destroying organisms and a path for rodent entry. Please note that trees hanging over this house may originate on the neighbor's property. This could present some complications in tree pruning though a general precedent is that you are allowed to prune to the property line. The retaining wall is leaning and in unreliable condition. Old walls like this can sometimes last for many years in this state but repairs could be needed at any time. Hydrostatic pressure from heavy rains and earthquakes could both cause further movement which could necessitate retaining wall repair. Monitor and repair as needed. One option is to punch weep holes into the concrete to reduce hydrostatic pressure. The stair treads in the entry yard stairs have settled and no longer provide a level walking surface. This is characteristic of older stairs. repair as desired for improved safety. one of the exterior windows require such extensive repairs that replacement may be a more cost effective alternative to repair. Hire a glazing specialist or licensed general contractor specializing in window replacement to further evaluate and repair or replace all windows. This home has wood window frames. These can be high maintenance and require regular painting. At the time of inspection many of the windows were in ok shape however some needed maintenance. The windows are well-protected by roof overhangs and some had storm windows attached so hopefully maintenance is not too bad. This will add some cost to periodic exterior re-paints. The concrete chimney cap is in poor condition and requires repair to prevent water from entering and damaging the chimney further. There was evidence of moisture intrusion inside the home around the chimney. Hire a mason to further evaluate and repair. A rain cap and spark arrestor is recommended for the chimney flue to prevent water damage inside the flue. Water damage / stains were noted at the base of the masonry chimney in the basement. I noted both no rain cap for the chimney and no liner for the flue. A flue liner is needed with this chimney to safely discharge - this is standard with a gas appliance venting into an exterior chimney. Have this further evaluated and repaired as recommended by a qualified chimney sweep. Mold-like staining patterns were noted on the wall of the garage. These are likely from a prior moisture condition. Testing at the time indicated the wall was dry. I recommend using a stain killing primer and paint to seal this stain, There was also some damage to the paneling around the window in the garage. Recommend further evaluation and repair around this window. The garage concrete slab has a larger than normal crack. I did not see cracking running into the step wall or footing, this indicates it is likely not structural but poor preparation of the soils below the slab prior to the pour. Monitor. If this gets much worse repair could be needed. To date the slab is still functional. 1. Air seal the ceiling as is feasible to slow air migration from the interior into the attic. 2. Be sure all bath and kitchen fans in the attic are well-sealed and venting to the exterior. 4. 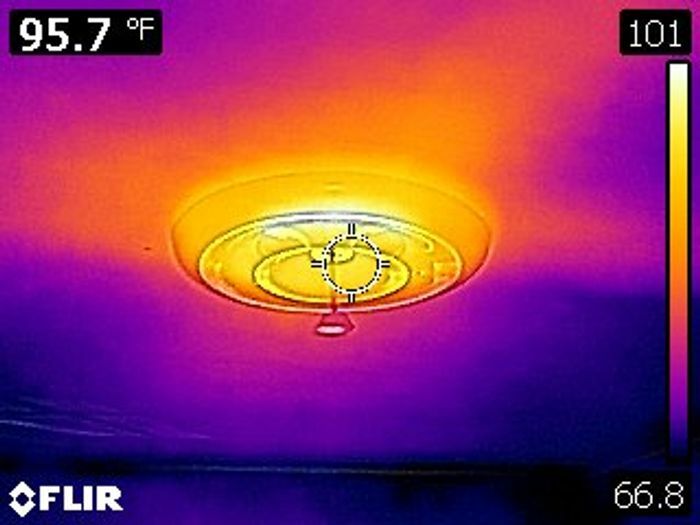 Make sure the roof cavity / attic spaces are correctly ventilated. Attic condensation can be a seasonal issue and it can be difficult to predict during a home inspection of there could be on-going problems. Recommend having the surfaces cleaned and monitor during cold weather to determine of additional repairs are needed. Openings were noted inside the electric panel. These should be covered to seal up the panel enclosure. There was no GFCI protection in the garage. The use of GFCI (Ground Fault Circuit Interruption) protection is inconsistent with modern minimum standards for safety. GFCI protection is recommended for the electrical receptacles in the following locations: the two dedicates kitchen appliance circuits, all receptacles within 6 feet of a sink, bathrooms, exterior, garage, unfinished basements, laundry and all wet and damp locations. GFCI's protect against electrocution by limiting the duration of an electrical shock. These are an important modern safety feature. Hire a licensed electrician to further evaluate and update this home's system for improved safety. The installation of carbon monoxide alarms is recommended for all homes that have fuel burning appliances such as gas or oil furnaces, gas water heaters, gas ovens and cook-tops, gas fireplaces and wood stoves. In addition, Washington State law (WAC 51-51-0315) now requires UL 2034 approved carbon monoxide alarms in all homes and condominiums being sold in Washington State. Location should be: at least one alarm outside of all sleeping areas and one on each floor of the house. Best practices are to have these alarms hardwired with a battery back-up - though requirements are for the installation to meet manufacturer's specifications. Carbon monoxide is a colorless, odorless gas that can cause sickness, nausea and even death. Replace all missing and dead batteries in smoke and CO alarms. As a general rule, plan on replacing batteries in smoke and CO alarms annually. A good time to do this is during a daylight savings time change. I recommend flushing the water supply system in this home. Discolored and odorous water was noted during testing today - likely due to stagnant water from the water being shut off. Please note that testing of water quality is beyond the scope of this inspection. An unusual waste pipe configuration was noted in the crawl space - see ABS to PVC connections. The transition cement approved for this application is green. I did not see green solvent on these connections. I recommend additional inspection of this configuration by a licensed plumber - repair as recommended to insure reliable performance. The waste plumbing is not properly sloped to drain. One quarter inch / foot slope needs to be maintained in the direction of the sewer. This can impede proper waste plumbing flow and lead to restrictions. Hire a licensed plumber to further evaluate and repair the sewer line and adjust the support as needed. The washing machine is an older model. I recommend considering updating to an Energy Star brand. This will reduce water use and energy as you will use less hot water and less heat to dry the clothes. One energy saving tip is to wash clothes only in cold water. This will get your clothes plenty clean and reduce water heating costs. The safety door switch appeared to be broken as well and the unit could spin with the door open. The B-vent flue is corroded near the unit. This could be from excessive moisture build up from faulty gas flow or some other underlined cause. Recommend further evaluation and repair by a qualified technician. Mild settlement was noted in the roof frame and the floor system but this was not bad for such an old building. Some of the foundation and frame were not visible to inspection and all interior finishes were present so it was difficult to determine if structural repairs are needed. I would implement drainage repairs as / if recommended in the Grounds chapter of this report and monitor for any signs of on-going movement. In the absence of any movement, no repairs appear needed, however there were temporary supports installed in the basement. These style post were not manufactured with the intent to be permanent. Recommend having a qualified contractor install permanent type supports at these locations. Small section of Rotted sill above the foundation at one visible location. Further evaluation probing and repair may be warranted. Some repairs have already been done to this. Moisture damage at the bathroom floor. Repair the failing mortar / grout in the tile floor to prevent tiles from becoming loose and physically damaged. The subfloor may have been damaged as well. Recommend further evaluation and repair by a flooring contractor. Damaged floor tiles at the breezway entry. Recommend repair as needed. The drywall / sheetrock finishes require some tune-up repair: See localized cracking, nail pops and minor cracks. This is typical. No red flags were found to indicate structural movement. Repair sheetrock blemishes as desired. The stairs to the 2nd floor are old non-conforming stairs. This will not be cost effective to correct. Use caution when navigating these steep stairs. Improvements could be made to the handrail system to improve the safety of the stairs. SOme of the railing baluster spacing was over sized slightly. The kitchen sink faucet is leaking and needs to be repaired or replaced. A leak was noted in the waste plumbing under the kitchen sink. Hire a licensed plumber to further evaluate and repair. The microwave was installed with an extension cord through the cabinet to an outlet at the countertop. This is not typical and recommend having an outlet installed into the cabinet above for this. There was no gutter system installed on the home. Gutters are a great way to shed rain runoff away from portions of the foundation of the home especially near old foundations, or terrain that is poorly graded near the foundation. Water flow near the foundation can be the cause of many issues found in the home and basement, or under slabs. We always recommend updating the home to include gutters whenever possible to help prevent any issues. The electric panel is full, there is no more room on the bus bar to add breakers. You may be able to use tandem breakers if you want to expand the panel, but this could be tricky or impossible to also follow modern requirements for AFCI's. This could make this panel obsolete or force the need for a sub-panel depending on plans for future wiring here. Some of the receptacles in the home are an older two wire system. Though there is nothing wrong with this configuration, it does not stand up to current standards of grounded wiring and the safety updates that includes and you may find it inconvenient in some areas, especially in offices and media areas. Discretionary improvements may be needed depending on your needs. Rubber water lines were feeding the washing machine. These water lines are infamous for bursting or ballooning. Recommend updating the water lines to the braided steel type. This home is built on a humble old stone foundation. Older stone foundations like this are often poorly reinforced, have undersized footings and will be generally more prone to water intrusion, settlement and seismic damage than a new poured concrete foundation. There are no cost effective repairs for old foundations like this other than making repairs on an as-needed basis. In the long term, this home could benefit from a new foundation that would allow for improved water proofing and drainage, a finished basement. This would be a significant improvement to the home. Such an improvement does not appear needed at this time. However maintenance to the mortar joints of the foundation is recommended as well as cleaning on a regular basis to prevent debris and corrosive material build up. The windows in this building are done in single paned glass. The windows are old and do not comply with modern standards for safety and energy efficiency. Improvements can be made by replacing panes of glass and keeping the frames or by replacing the entire window. I recommend additional inspection by a glazing specialist to devise a plan for updating the windows in the home for improved safety and efficiency. The kitchen cabinets are old and could be updated for improved performance and appearance. A ductless exhaust fan was noted for the cook-top. Installation of a fan that ducts to the exterior is recommended to remove moist air to the exterior. Please note that if you switch to a gas range or cooktop in the future, a fan that ducts to the exterior is required. No ventilation fan was noted in the bathroom,. you do have a window but no fan. Fans that vent to the exterior are recommended and will help reduce indoor humidity and risks for molds. Installation of a bath fan is recommended. The catch basins are clogged with organic debris and require cleaning to ensure reliable performance of the drainage system. The home is situated on a generally wet site with neighboring homes and topography above the house. This could lead to seasonal drainage problems. Inquire with the sellers for any history of water problems on the site. It is possible that drainage repairs could be needed here. The roofing material on this home is done in an architectural grade composition shingle. These shingles are often rated as 30 years shingles, though I find in practice 18-22 years is more realistic depending on the quality of the installation, the amount of exposure and the pitch of the roof. The roof looks to be done as an overlay, meaning there is another layer of shingles below the existing layer. In general, overlays have less predictable service life. They can suffer from inadequate nailing and inadequate flashings due to installation procedures. These can lead to premature leaks, nail pops and failure. They tend to break down more quickly as well, due to heat build-up. During inspection, no red flags were found, however, I would monitor the roof for nail pops as fastening on overlays can be unreliable. As a general rule, older basements are prone to seasonal dampness and moisture issues. This is because there were no industry standards to water proof foundations at the time this home was built. Today's basements will likely be sealed on the outside with concrete sealer over the foundation. On top of this a water-proofing fabric is applied which will divert water into a footing drain system at the base of the foundation; old basements usually have none of these water-proofing systems installed. Some old basements do stay dry - typically the result of a good site and good soil drainage around the building. This is impossible to evaluate or predict during a visual home inspection. The stairs to the basement are old non-conforming stairs. This will not be cost effective to fully correct. Use caution when navigating these steep stairs. Improvements could be made to the handrail system to improve the safety of the stairs. Gravel driveways in this area of the united states are common however it should be understood that gravel does erode eventually and the driveway will need to be maintained as this erosion happens. Snow plows can cause damage to this style driveway that may cause the need for maintenance every spring. An arborist should be hired to further evaluate the large trees on the property and prune or remove as recommended. Whenever large trees are located near a house a higher level of maintenance should be expected to keep trees safe and healthy and to eliminate the risks of damage to the home or building materials and to eliminate rodent entry points. With larger trees such as firs pruning is recommended to eliminate the sail effect and reduce strain on these tress during high winds. The exterior doors were older style doors and have been in place a long time. These doors may eventually need some maintenance, adjustments and weather stripping replaced to keep a good seal on the door. A level II cleaning and inspection is recommended for the chimney flues. Regular cleaning and inspection is recommended for safe and reliable operation of the chimney. Chimney flues are not visible and are beyond the scope of a home inspection. Hire a licensed chimney sweep to clean and further evaluate the flues; if this has been recently done, please disclose or ask seller for receipts. The following circuit breakers were off at the time of inspection: . Inquire with the seller why these circuits are off and have them tested prior to closing. It appears that this old home has updated supply plumbing. I noted PEX tubing where the pipe was visible. Inquire with the sellers regarding the extent of this update as some of the pipe was not visible to inspection. 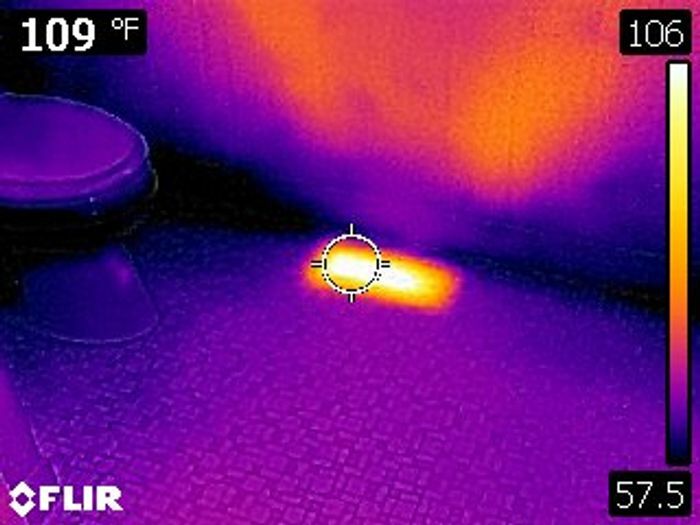 The water heater was off at the time of inspection. This inhibited inspection of the plumbing system. Be sure the water heater is turned on and made operable as needed. Be sure to have all fixtures and mixing valves checked for proper temperature and correct orientation of ht and cold. Creosote and ash build-up was noted in the wood burning fireplace suggesting that the flue should be cleaned and inspected by a licensed chimney sweep. Regular cleaning of the flue is recommended to insure safe operating condition. Minor floor settlement was noted in the house. It is a very old home and this is common. Inquire with the seller for any history of repairs or movement. No signs of recent movement were visible at the time of inspection. The home has a mild odor from pets. This can be bad for indoor air quality especially if someone in your family is allergic to pets. Clean the house / update carpets as needed. If you are concerned about these odors, seek additional opinions from an industrial hygienist. Please note that indoor air quality is beyond the scope of this inspection. The fridge was off at the time of the inspection. Recommend having this plugged in and tested before your final walkthrough. The bathroom sink faucet is off and I did not want to turn water on at the angel stops as I do not know why it was turned off and this could cause a leak that could damage the building. I recommend having a licensed plumber restore supply to the sink and implement repairs as needed to insure reliable performance. The attic access hatch requires insulation and weather stripping to prevent heat loss and heat migration into the attic. The attic insulation could be improved to modern standards. Modern standards recommend R-49 on the floor and R-21 on walls. 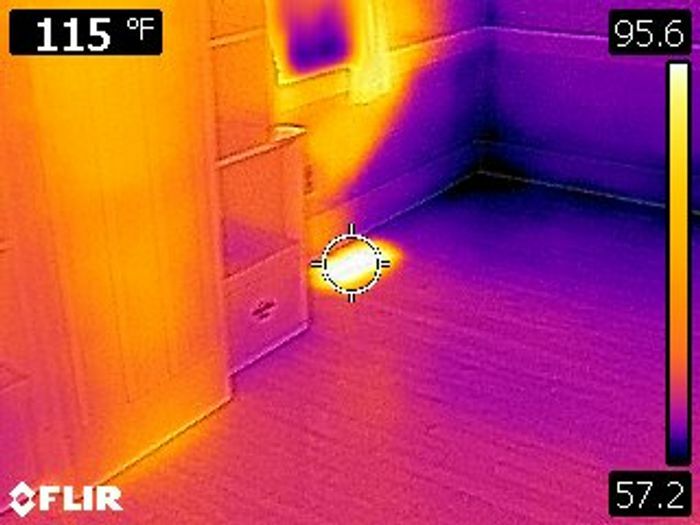 R-value is the measure of resistance to heat loss; the higher the R-value the better the insulation. During insulation repairs it is best practices to implement any air seal-up repairs to seal air leakage. Also, be sure you have completed any wiring or other projects that are needed in the attic. Then, hire an insulation contractor to improve thermal barriers. This home would benefit from an improved definition of conditioned versus non-conditioned space. This will help heating bills and will reduce chances for wood destroying organisms. Modern standards for construction recommend venting the crawl space to the exterior and insulating sub-floor to R-30 and basement walls to R-21. I recommend hiring a qualified general contractor to repair this configuration to better define the crawl space from the basement for improved energy efficiency. Please note that mold, mold testing and indoor air quality are beyond the scope of this inspection. If you are concerned about mold or indoor quality, I recommend additional inspection by a specialist. As a general rule, best practices to control mold in buildings are to spend limited resources diagnosing and repairing water problems. Where water problems are chronic, mold problems can be more complex and expensive to correct. Where water problems are localized, mold repairs tend to be more limited in scope and less complex to repair. Please note that identification of mold, mold testing and indoor air quality are beyond the scope of this inspection. 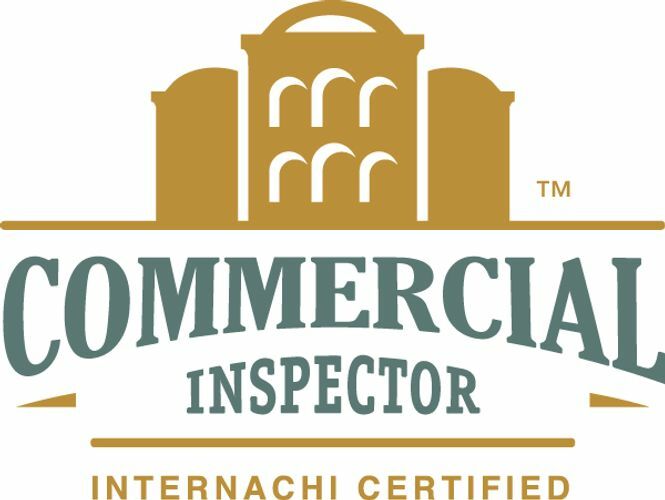 If you are concerned about mold or indoor quality, I recommend additional inspection by a specialist. As a general rule, localized mold problems can often be easily repaired by eliminating the moisture source and removing or sealing the localized area that got wet. Best practices to control mold in buildings are to spend limited resources diagnosing and repairing water problems. Where water problems are chronic, mold problems can be more complex and expensive to correct. Where water problems are seasonal or localized, repairs tend to be more limited in scope and less complex to repair. Mold problems in attics are generally unlikely to affect indoor air quality because homes experience the stack effect where warm air escapes out the top of the house like a chimney. However, at the very least repairs should be made to diagnose and understand attic moisture problems to prevent on-going water damage in this space. Modern standards recommend smoke alarms in all bedrooms, in all hallways outside bedrooms and at least one on each floor of the building. At the time of inspection, some smoke and CO alarm appeared to be inoperative or disabled. Best practices are to hardwire all alarms and have them with a battery back up. The home appeared to be using a dug well. This is not a defect however it should be noted that a dug well system is the most shallow style of well. This shallow style has some pitfalls that can sometime go with it, such as water contamination due to its proximity to surface water and the potential of contaminants entering through the well cover. If you have not done so we recommend having the water tested periodically for health and safety concerns. Further more some FHA lenders require a special flow test to provide proof that the well can keep up with normal usage. Heat was working at the time of the inspection. All visible piping appeared serviceable. One excellent way to prevent / reduce risks of moisture build-up below basement floor finishes is to use a raised or floating sub-floor system. One example is a product made by DRIcore: http://www.dricore.com/en/index.aspx. This is best suited to a large project when doing an extensive remodel to a basement. Just some nice views of the home and bonus' at the time of the inspection. Wood storage for fireplace in breezeway. old style pump decor over the well cover. Great drone view of property. Grading at points around the home was sloped toward the foundation. Drainage near the road and driveway appeared to be in disrepair or under construction. Small bush very close to siding near the front corner of the home. Wood retaining walls appeared to need some adjustment. Wood decay at some lower sections of the siding. Some minor pealing paint at the sashes of the windows. View of non line chimney for the oil furnace. SOme repairs were done to the fireplace chimney already. No liner, rain cap, or mortared crown. Moisture damage around window in garage. Possible current moisture leak. The attic above the breezeway was an unconditioned space and does not require the same air sealing and insulation. Only one gable vent as the only ventilation in each attic space. Openings were noted in this panel that need to be sealed. Double meter. one for main panel and one for water heater. 2 pronged outlets in some of the home still. Most has been updated. Possible antifreeze in water supply? Age 1981 Indicated by the serial number. Vent to chimney seal was deteriorated. Stone foundation with moisture stains. Maintenance needed. Granite slabs on top of stones are a typical building style of this old of a home. Rotted sill above the foundation. Some repairs have already been done. The water was off to the bath sink, and the flooring was lifting and damaged. Copyright © 2019 NH Home Inspector LLC. All rights reserved. Software by https://getscribeware.com.